Delivery service available on request. 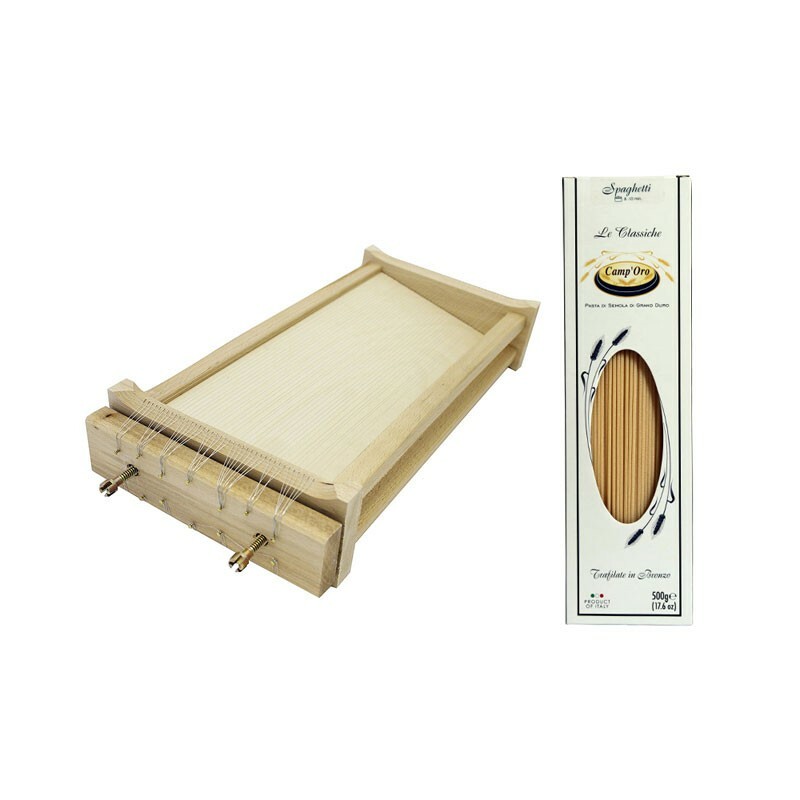 Discover how easy and funny is making your own fresh pasta with our Italian "chitarra" machine. 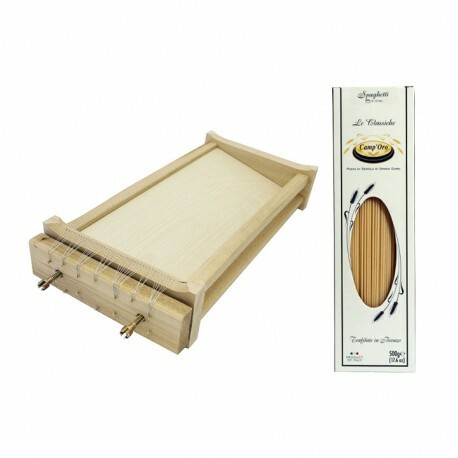 With this "chitarra" you can make on one side tagliatelle and on the other spaghetti. Impress your family and friends preparing homemade tagliatelle bolognese or spaghetti with pesto sauce. It's even a nice idea for a present for a friend who loves cooking and Italian cuisine.